He’s not wearing a white robe and the setting is a bit different, but this is the closest image I could find that fit this chapter. Turns out, I’m alive all the while. I hope everyone had a great holiday and a good new year! I hope you guys enjoy this unexpected chapter update. I planned to break this into two separate chapters, but then I realized that you guys deserve a treat since I’ve been gone for so long. So Please don’t mind the extra long chapter. LOL. I find that the couple in in the picture above matched He Xue Zhen and Jiao Heng so much. Xue Hua’s outfit in here is so beautiful and befitting of her, especially her headpiece. The whole thing is simple but it showcase her natural beauty in a very simplistic yet elegant way. Jiao Heng’s outfit in the pic is a bit too casual, but I imagine that it should be that way as he’s only visiting his brother and is away from the capital city. His character is pretty much an elegant gentleman throughout the novel, skilled in literature, art, and music, so it’s only natural that he’s playing a musical instrument in the picture. I forgot what that instrument is called, so if you know, please let me know. He Yu Ting could not sleep that night. She tossed and turned on her cot while her sister slept soundly beside her. The day’s events had overwhelmed her mind and she could not close her eyes without seeing her sister falling over the cliff or her guards being slaughtered by the bandits. When the dawn arrived, she quickly dressed and left her tent to check on her wounded guards. In the Medicine Tent, the doctor assured that her guards were recovering well and were still resting so she decided to take walk around the fort. He Yu Ting had never stepped into a military fort like her father or her cousin, so she was unfamiliar with the rules and regulations of the Fort Wang. However, none of the soldiers stop her when seeing her passed and continued their duties as if the sight of her didn’t bother them. She took that as a good sign and continued her leisure walk until she ended up on top of the wall overlooking the early morning sunrise. The corners of General Jiao eyes lifted in mirth as he chuckled and turned to face the beautiful scenery in front of them. Not knowing what to do, He Yu Ting could only accompany him to view the scene. Since he didn’t dismiss her, she thought it may be rude to just leave. As the sun rose slowly over the horizon, the beautiful array of reds and oranges and yellows breaking through sky gave her a sense of awe and peace. From the corner of her eyes, she peeked at the general standing next to her. Growing up in the capital city, who hadn’t heard of the prestigious Jiao family that had the Emperor’s most trusted Prime Minister, the Duke of Qiang De, as patriarch. Even more, the duchess had given birth to two outstanding sons who held high positions in the Zhao’s court and had many accomplishments linked to their name. Everyone know that in the emperor’s heart, he greatly valued the Jiao family. Not only was his most favored cousin was married to the Duke of Qiang De, but a Spiritual Master of the Hidden Cloud Estate Monastery, renowned for his unrivaled skills, had predicted even before the Duchess’s marriage into the Jiao family that she would give birth to two sons who will bring good fortunes to the Zhao’s dynasty. He foretold that the first son will be a benevolent and influential leader and the second son a god of war. It was said it the Emperor was so pleased with the news that he bestowed the dukedom to Jiao Hui Zhong who was only a simple earl at the time and along with the title, the Qiang De Gong Fu. Officially, the decree reasoned that it was bestowed as a part of the wedding dowry. But many knew the truth. At the time, it caused a lot of talk in the capital but no one dared to say that even as a wedding dowry, to give a title that skipped a rank was inappropriate. As an Imperial Decreed, who would dare refute? Fortunately for the Qiang De Gong Fu, the Spiritual Master’s words were just as prophesied. The two young lords, Jiao Heng and Jiao Ying Jie, even as playmates and classmates to the Emperor’s children had excelled in all areas of their studies and even showed uncanny abilities in leadership and strategizing. But while his older brother, Jiao Heng preferred governmental philosophies, Jiao Ying Jie veered toward a more hand-on approach and excelled in military affairs and strategies. When the two young lords were later sent by the Emperor to study under the guidance of his greatest leaders, no one in the capital was surprised. They could only marvelled and secretly envy the Duke of Qiang De for producing two useful sons that even the Emperor was proud of. 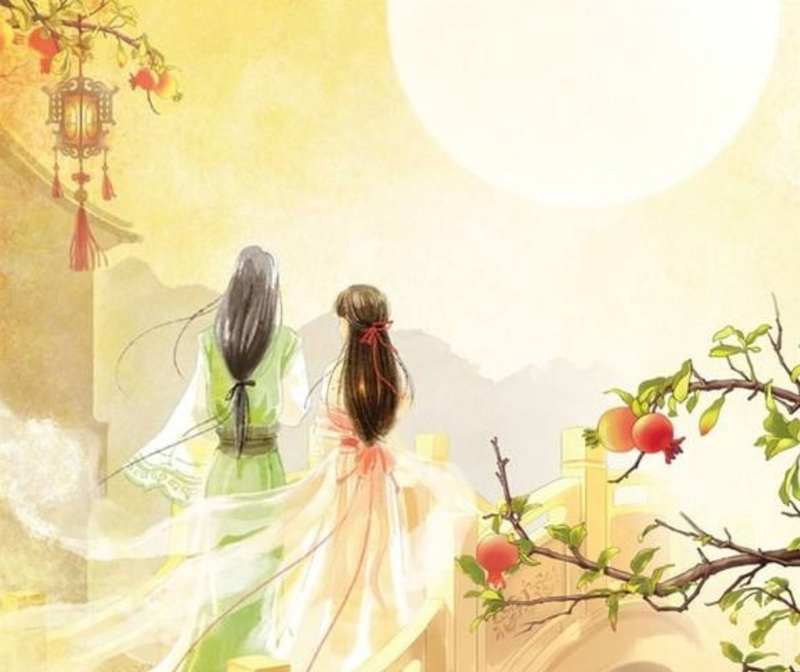 Until now, He Yu Ting had never thought to be able to be in General Jiao Ying Jie’s presence and accompany him to watch the sunrise. Sneaking another quick glance at him, she noted his sleek black hair, narrow black eyes, and a face too handsome to shoulder heavy responsibilities. The white robe and jade coronet seem to glow brighter and brighter with the rising sun, giving him the appearance of a divine god. The image was so breathtaking, He Yu Ting couldn’t bear to look anymore and turned her gaze away. With her heart beating heavily against her chest, she tried to think of a good excuse to leave. But even after a long moment, her mind remained empty. In the end, she could only silently enjoy the beautiful scene in front of her. The question came so suddenly that He Yu Ting was started for a moment. Until now, there was only the sound of the quiet and peaceful morning as well as the soft rustling of their robes against the breeze, making her feel as if they were the only two people in the world. “It’s alright,” she hesitantly answered. It wasn’t a lie. It no longer felt as bad as the day before. The burning sensations had dulled a little due to the herbal ointment her sister applied. As long as she doesn’t stress her hands, the discomfort was almost bearable. “You are too polite. Perhaps Miss He looks down on my family medicine?” Was there a hint of dejection in his voice? She immediately shoved the thought away. He nodded silently, but He Yu Ting saw that the corners of his lips lifted. Eight days later at Yangjing, a major trade city not far from the Capital. He Xue Zhen and He Yu Ting strolled along the city market for their final purchasing before returning to the capital the next day. They had left General Jiao’s fort a few days after their arrival and had sent a messenger to inform their father that the army provisions had been safely delivered. The sisters had enjoyed their stay in this bustling city, sampling different food, viewing the beautiful sceneries within the city, and purchasing items to bring home. As usual, they strolled leisurely down the market, pointing out different stalls to each other and visiting ones that caught their interests. But on this particular morning, neither sisters expected to see a few familiar faces again. Looking up from a stall specializing in silk fabrics, He Yu Ting was surprised to see the Marquis of Jiao and General Jiao Ying Jie approached them. Behind them were a few soldiers led by Officer Wei Cheng. Occupied with picking a selection from the assortment of beautiful silk fabrics, He Xue Zhen did not note their approach until her younger sister tugged at her sleeve. She turned in her sister’s direction to see her curtsyed to the general and his brother. Quickly doing the same, she schooled her face to hide her surprised. “Marquis Jiao. General Jiao,” she gracefully greeted each brother with a polite curtsy. Jiao Ying Jie didn’t think to meet the He sisters again so soon. Now that that they accomplished in destroying the bandits to bring justice and peace to the people once again, they were returning to the capital to report to the Emperor. He thought that the sisters had already returned to Jing. A breeze suddenly blew against them, sending their hair ribbons flying around their faces, the beautiful colors framing the delicate faces and features of the sisters. This not only cause other stall vendors and people to stare at them in a daze but it also drew the attention of the Jiao’s brothers. He Xue Zhen shyly turned away from Jiao Heng’s gentle gaze to hide the heat rising on her cheeks. Having a hard time controlling her own blushing cheeks, He Yu Ting was about to find a reason to excuse themselves when Jiao Heng asked her sister how long they have been residing in the city and when they are heading back to Jing. Jiao Ying Jie happily agreed and bid the sisters to let them join them that night during the festival, citing that two females alone should not stroll around the city unescorted at night. He Xue Zhen and her sister had no choice but the agree. After all, who in this world is more suitable than the nation’s infamous court official as well as its strong and powerful God of War? Since it is Yingjing’s famous Lantern Festival, all the inns in the city were full. Jiao Heng and Jiao Ying Jie didn’t want to inconvenience the nobles in the city and thought to camp outside the city. 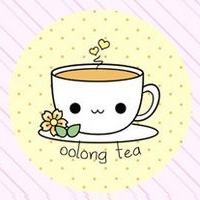 So He Yu Ting and her sister offered two of their rooms to the brothers and their men since they had already rented two rooms for themselves and another four for their guards. This was reluctantly accept by the brother after they assured them that they could share. Thus, after the arrangements were made, everyone went separate way to prepare for the night outing. They agreed to meet at the front of the inn after the sunset. At the designated time, He Yu Ting and her sister arrived to find both lords waiting for them. The streets behind them were already starting to fill up with people watching street performers and visiting the different stalls lined along the busy street. Lighting their ways were bright and colorful lanterns strung along the walls of the buildings and stalls, casting its charms and making everyone feel joyous and excited for the coming night and activities. In the beginning, the sisters found it unnerving to find themselves in the company of the two infamous and powerful brothers. As daughters of a merchant who could not bear to part with his daughters for long periods of time, they had traveled extensively with him and had met with all sorts of people. However, both sisters didn’t have any experience with interacting with the noble elites of the Zhao’s Imperial Court. Fortunately, after a couple of hours and due to intuitive natures of both brothers, the atmosphere soon relaxed and they started to enjoy themselves. The Jiao brothers were very courteous and accompanied the curious sisters from stall to stall without complaints, finding themselves lost in their sweet nature and addicting smiles. It occurred to the brothers since their first meeting that the He sisters possessed natural elegance and grace and lacked the pretentious virtuous attitudes of many noble ladies of the court. Even more, they were courageous and loyal. All their life, the brothers were always focused on their duty and matters of the nation. Now that they meet a person that caught their interest, if they were to let them slip away, they knew it would lead to endless regret. “Ting’er, look. They’re selling floating lanterns.” He Xue Zhen grabbed her sister’s hand and pulled her to a lantern stall that displayed a vast array of brightly-colored lotus lanterns. This seller is so slick with words, He Yu Ting thought while smiling at him. “Ting’er, let us buy one and float it,” He Xue Zhen said as her excited eyes stared at the lanterns. Realizing her mistake but unable to tear her eyes from his dazzling ones, warmth filled her cheeks, turning it a beautiful shade of pink to match the color of the lantern she was holding. While this blushing moment was happening a few feet to the side, He Yu Ting saw a beautifully crafted red lotus lantern and reached for it. Who knew that when she did, her hand accidentally brushed against the fingers of another person who was reaching for it as well. She froze, recognizing the blue sleeve, and watched as that hand picked up the lantern and presented it to her. “Thank you, General Jiao.” She took the lantern from him, her eyes inspecting the lantern to avoid looking at him and to hide her hot face. Under his intent gaze, He Xue Zhen could only stay quiet and avoid his eyes. With directions from the seller, the four arrived at the riverside area designated for floating the lanterns. The area was already crowded with people, everyone holding a lantern and looking for a spot to float it. Although this is not her first time out during such an occasion, it was He Yu Ting’s first time attending one with so many people. It must be due to the city’s extravagance in celebrating this festival. Since they had been out, they didn’t miss the exciting parades, the brightly lit and beautifully decorated streets, or the bountiful assortment of stalls with vast varieties of food and merchandise. Not to mention the riverside that hosted the festival most attractive event, the floating of the lanterns, it seemed that no expense was spared. Just from where she was standing, she could see people from all classes intermingled in the streets and riverside. There were rich and noble ladies with their maids in attendance as well as well as nobleman lining the side of the rivers to enjoy the view. She could see merchants and scholars as well as common citizens awaiting their turn to float their lantern. On the river, pleasure boats were leisurely skimming the waters, also extravagantly decorated, showing off the prestige and wealth of its owners. Overall, the sight was a wonder and source of excitement for He Yu Ting. There was nothing she could say after that as he continued to tug her after him to follow Marquis Jiao, who was also tugging her sister along. Like herself, her sister’s hand was also tightly clasp in Marquis Jiao’s hand. Even though He Yu Ting couldn’t see her sister’s face, she knew that her cheeks must be as red as her own. When they arrived, it was just as Jiao Ying Jie said. While there are still people, it was not as crowded. They didn’t wait long for the place to clear for their turns. He Yu Ting felt Jiao Ying Jie, who was still holding her hand, tugged her toward the water. Once there, he released her hand and with a smile, signaled her and her sister to float their lanterns. A bit flustered, He Yu Ting and her sister crouched down in front of the flowing water and checked to make sure that their dress didn’t get wet. Then, they held the lanterns in front of their faces and closed their eyes to make their wish. As the girls made their wishes, the soft glowy lights from the lanterns in their hands along with the ones floating by them in water casted an enchanting aura around them. The beautiful scene captivated the companions standing by their side, entrancing them to their beauty as their hearts beat heavily against their chest. Not realizing their affects on the Jiao brothers, He Xue Zhen and He Yu Ting opened their eyes and leaned toward the water to gently place their lanterns on its surface. Their graceful movements further entrance the brothers, endearing them to their hearts. Unable to help themselves, Jiao Heng and Jiao Ying Jie crouched down besides them to floated their lanterns, sending them away towards the ones floated not long before by the sisters. The suggestion was meet with agreement and the four of them started for the streets again. As they left the riverside, Jiao Ying Jie looked back to the water and noted that his yellow lantern was floating closely alongside a familiar red one. The image pleased him and he couldn’t help but smile. As he turned back, his eyes met with his brother and he also noted a similar smile on his face. After spending a majority of their lifetime together, the brothers didn’t need to communicate verbally. Jiao Ying Jie thought back to He Yu Ting’s comment and grinned wider. What wish the brothers made, their hearts were clear. I love reading original work from people. It really brings out a person’s imagination. And it’s fun to see how characters and writing develop over time. However, I wanted to comment on the kowtow you used during the greetings. I’m not sure which type of situation you wanted but kowtow is the knees on the floor and 180 degree bow whereas a curtsy would be the one leg in front the other back bending of the legs with the hands to one side. Or that’s how I would translate it. I’m not sure which one you wanted, but for gong novels, I’ll probably kowtow to the emperor or family elders, but not sure about to a prince or general. Hope this helps. Thanks for updating! I really love your stories and I can’t wait for the next chapter!! I was wondering where you were. 😀 Glad you’re back to visit and hope you like the chapter. The next chapter should be up next week. Thank you so much for your support. For every $40 dollar, there will be one extra chapter. ©Jade Water Paradise, 2015. All written work on this blog are for non-commercial purpose. Unauthorized use and/or duplication of this material, except linking without the express and written permission from the blog’s owners is strictly prohibited.